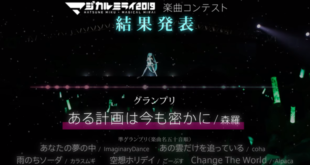 Home / News / Events / Hatsune Miku GT Project 2019 Theme Song Contest Winners Announced! 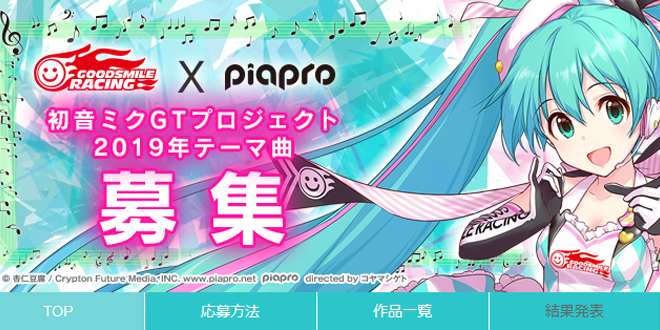 You may remember the Hatsune Miku GT Project 2019 theme song contest that got announced in late February of this year, aiming in recruiting a very special theme song for the current Racing Miku. They finally announced the contest’s results and those are quite surprising too! 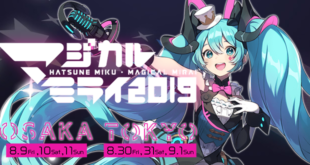 This contest’s theme revolved all around “Idol”, as Racing Miku 2019 follow this very specific theme. They expected to only have one recruited song, however, there were so many good submissions that they couldn’t simply decide. As a result, this little cute idol will have ten different songs representing her and her cause! You can find them below! What do you think of the winning entries? We absolutely and cannot wait to see them shining for our beloved racing idol! Remember to stay tuned with us on VNN for all the news and updates about your favorite Virtual Singers! 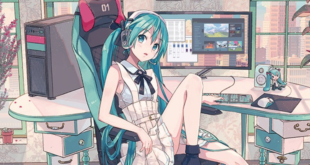 Previous Let’s Wait Summer with Those Cute Hatsune Miku Series Merchandise! Next New ChiYu Demo Song Published!